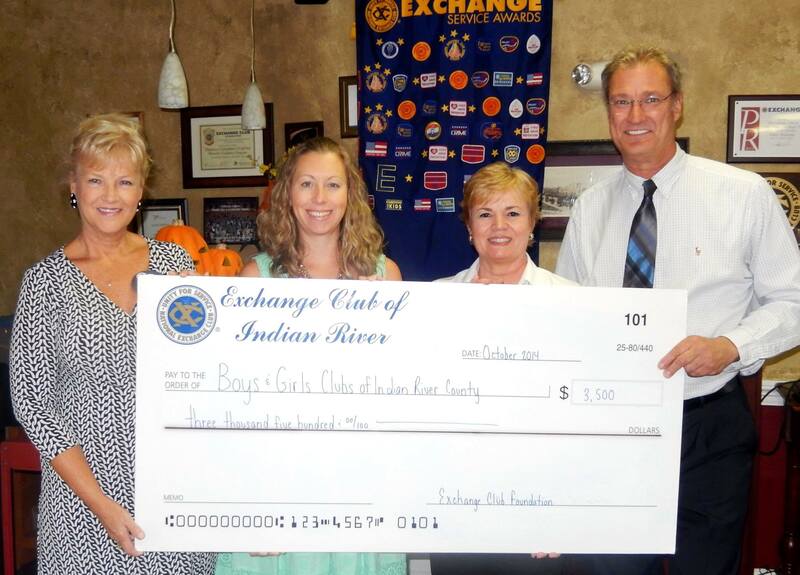 Exchange donates $3,500 to Boys & Girls Clubs!!! Keepin’ it local! Exchange Club of Indian River Treasurer Sue Dempsey and President-Elect Chris Pensch presented a check for $3,500 to Boys & Girls Clubs Director of Development and Marketing Angela Astrup and Executive Director Elizabeth Thomason. The funds will be used to provide summer program tuition fees and field trip costs.